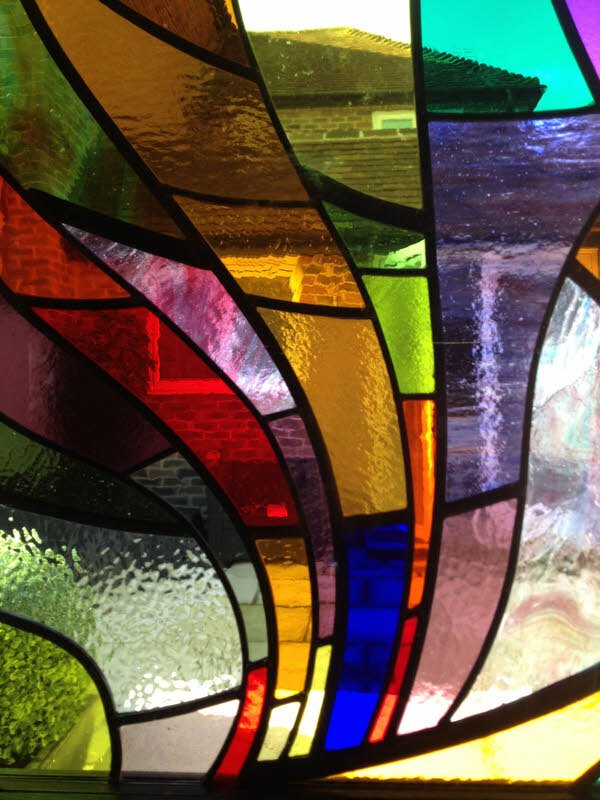 This abstract leaded light panel is now in a studio window in Emsworth, Hampshire. My customers liked my Warm and Wavy panels but wanted stronger colours. 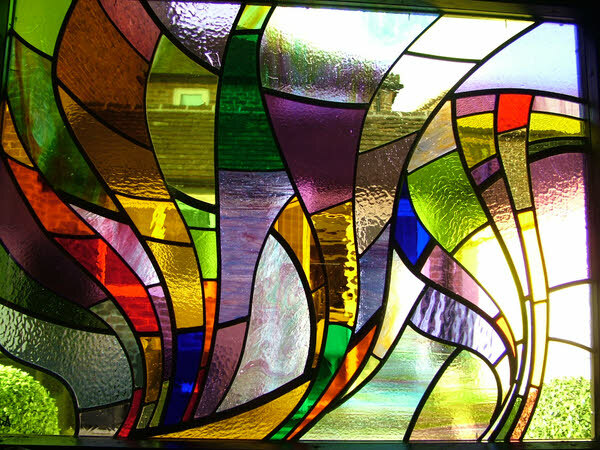 I loved making this panel with such a beautiful rich mixture of glasses and my customers are over the moon. I got a Christmas card from them saying how much they still enjoy the window and that it is ever changing with the light. Just what I set out to achieve so I am thrilled! Error: Error validating access token: Session has expired on Monday, 08-Apr-19 03:56:55 PDT. The current time is Friday, 19-Apr-19 12:09:44 PDT.